So I recently got a wrist tattoo and I'm worried about it looking cloudy/milky as it heals. After getting it, my tattoo artist slapped saniderm on it and told me to keep it on for 4 days and then take it off and clean the tattoo and then later apply lotion when it gets dry. However, an hour after leaving, I accidentally peeled off the top of the saniderm wrap so when I called him, he told me to take the entire thing off and then clean the tattoo and keep it dry and to clean it twice daily. This is directly after getting it. The really black parts are the parts that haven't scabbed and fell off yet but they're getting there. Yep - it's normal for it to look a lot lighter after the scabs fall off. Black will never look as dark as when the tattoo is fresh. In reality it's always gonna look more of a dark blue than actual black. Occasionally you may also get lighter spots related to bits not healing so well / ink fallout - hard to know that til it's fully healed though. Yep. You gotta wait. It's going to take 6-8 weeks before you really know what it's going to look like. My first tattoo was exposed to the sun and got a little light so gonna touch it up next week. Mine will do a primary peel, and look cloudy. Then they do a 2nd lighter peel. About a month is where mine look the best... and down hill from there. got this tattoo last week in London. There appears to be blowout/blue tinted skin in the portion circled and other areas of it. I emailed where I got it done (a refutable place) and they said to wait it out until the 3 week mark. Does this look like healing or blowout to you? Do you think it’d go away on its own or Is it treatable with laser if it’s blowout? I realize it’s minor but things like this bother me haha. I’ve attached pics. Im also wondering what you think the cause was, I have been careful but maybe not careful enough with clothes rubbing, etc? I read blowout is usually the artists fault. 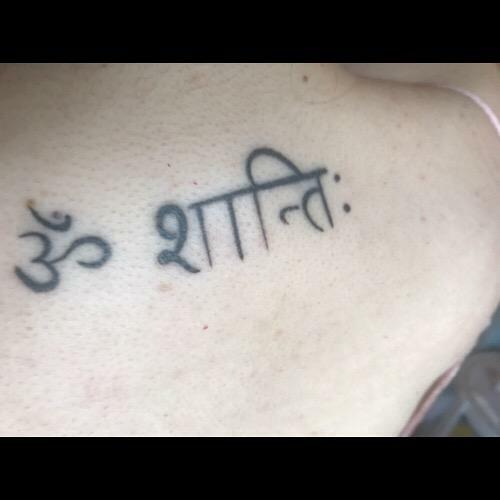 Also, above the om symbol, the dot has a blemish/ potential keloid on it and the ink is very faded. Im wondering if once the blemish is gone, the ink will reappear? It’s been a little over a week and this is my first tattoo. I’m really concerned it was my fault. It's healing. Listen to your artist! You need at least a month before you know how it will settle in. Also, blowouts can happen to any artist, so it's not necessarily their fault. Breathe and let it settle in. thank you :) i have major anxiety so this helped. I’m confused ! 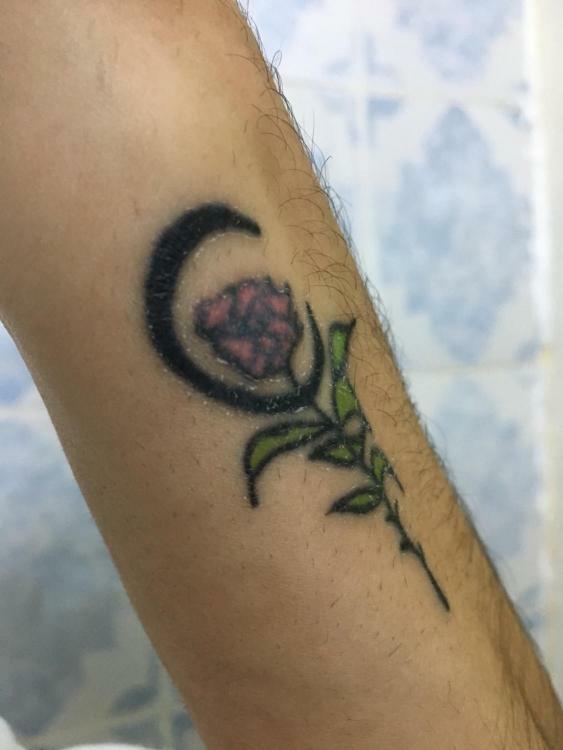 I don’t know why my 2 weeks old tattoo looks like this. Is it my fault ? The red rose looks faded and cloudy. Please help me guys! 4-6 weeks for healing. gotta wait for it.